Next week I will be attending a day conference about the future of Higher Education at Southampton University, so this month’s Teaching and Learning Conversation, hosted by Chrissi Nerantzi, caught my attention. The webinar was run by Prof Ale Armellini, Professor of Learning and Teaching in HE, University of Northampton. The title of the session was Opportunities for Shaping the Future of HE in a Challenging Climate. This was an enjoyable and thought provoking session, in which Ale Armellini shared the work that is being done at the University of Northampton to prepare for the future in Higher Education – or at least to try and anticipate the changes that might need to be made. Universities are being hit by disruptive waves. They have to compete for students, compete to offer cheaper alternatives and compete in offering online delivery. Physical space is at a premium, there is global competition for increasing numbers of diverse and demanding students, and there is a critical need to change the way they do business. 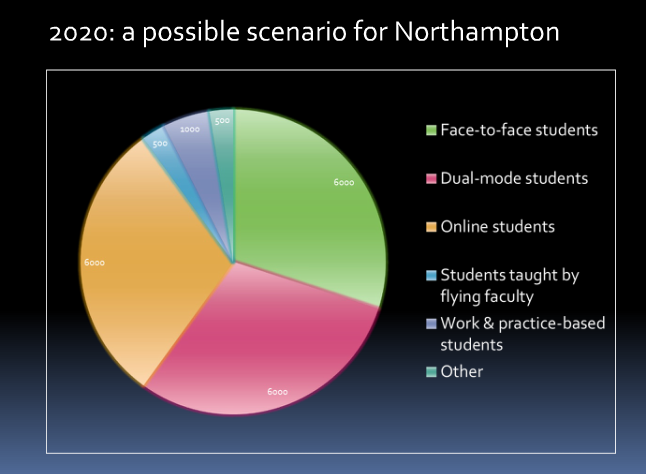 Northampton University has recognized that students want a personalized learning environment and that to meet increasing student demands they will have to raise the bar. For them this means increasing excellence and innovation, inspirational teaching and transformational learning practices and open practice. It also means exceeding student expectation regardless of their mode of study, and providing CPD and recognition for staff in relation to innovation and change. Currently the balance of different students at Northampton looks like this. There will need to be a balance between campus-based provision and online provision, but Universities will need to think carefully about how to add value to the campus experience. 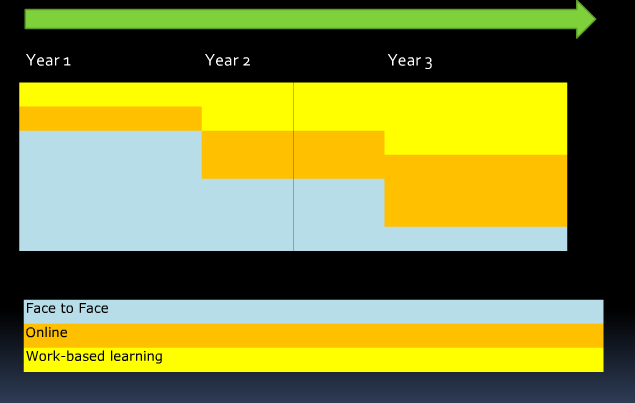 But Northampton is also thinking about how to change the learning experience and their current thinking is that lectures will become a thing of the past, as depicted in this slide. Unfortunately this was only a one-hour lunchtime webinar. We could have continued the discussion for much longer and it was clear that Prof Armellini had plenty more he could have shared with us. Chrissi Nerantzi has already posted the recording of the webinar at http://mmu.adobeconnect.com/p4xaliqxmqo/ . It will be a valuable resource. Thanks to Chrissi and Prof Ale Armellini for a most interesting session, which was particularly timely for my own work. 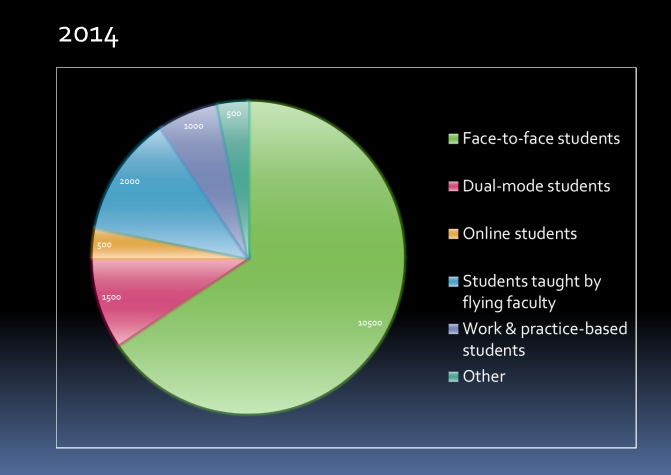 Are MOOCs immune to rigorous investigation? 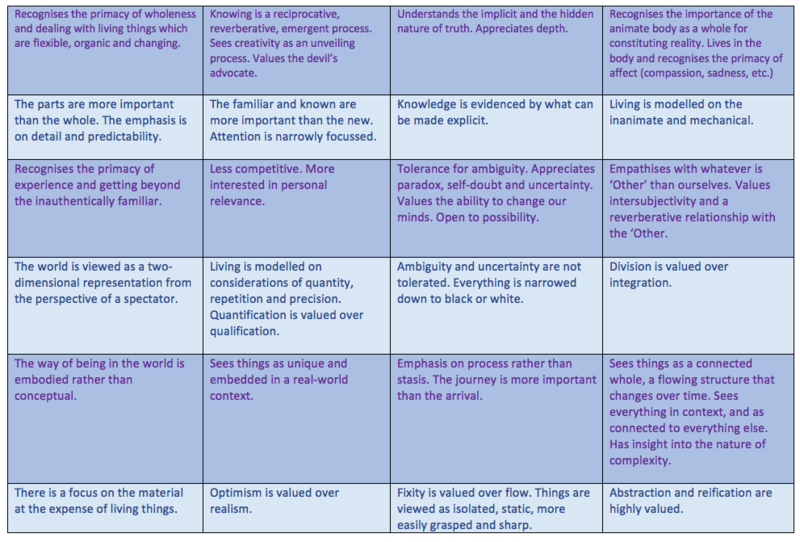 The title of this post is taken from David Wiley’s blog post that he made earlier this year. And this week on Twitter Apostolos Koutropoulos commented that there is currently a lot of comment on MOOCs, but much less research. David Wiley mentions that his PhD student is researching MOOCs and I know that Eleni Boursinou of the Caledonian Academy in Glasgow – is researching the FSLT12 MOOC, so I suspect there are many more PhD students who are investigating MOOCs. 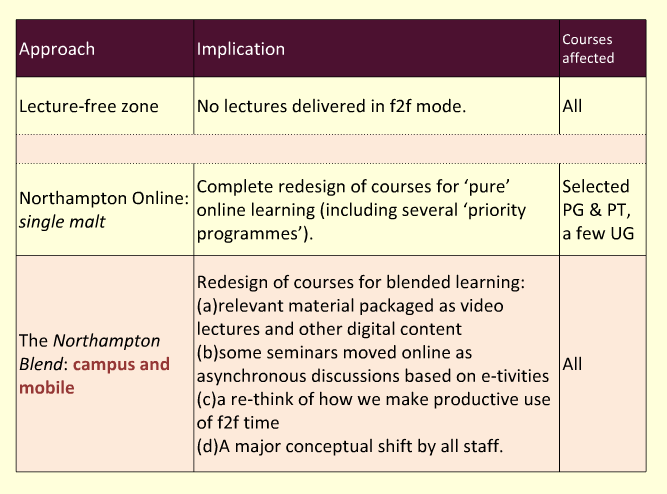 Recently I worked with George Roberts, Marion Waite and Liz Lovegrove (from Oxford Brookes University), Joe Rosa (Cambridge University) and Sylvia Currie, BC Campus Canada (see Tutor Team), to develop and run the FSLT12 MOOC earlier this year. A funding requirement of this MOOC is to follow it up with research. We have decided on four research papers, which we hope will reach different audiences. 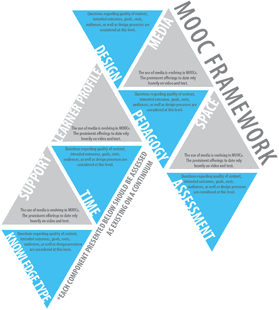 How do you design and plan a MOOC? (George will lead on this one). Audience – JIME or JCAL? The First Steps curriculum – a case study (Liz will lead this one). Audience – BeJLT and Press release for ALT, HEA, SEDA, JISC ? We are keen to get this research out as quickly as possible. This will be a challenge for me. I am naturally a ‘slow’ researcher, but I acknowledge that there is a balance to be achieved between reflective, well thought through research and ‘missing the boat’ in relation to the fast moving conversation and developments around MOOCs. As I have experienced before, it is difficult to know how open to be about ongoing research, i.e. in what sense might openness in the research process compromise the research. I would like to keep posting about our progress and hopefully this won’t compromise the research. 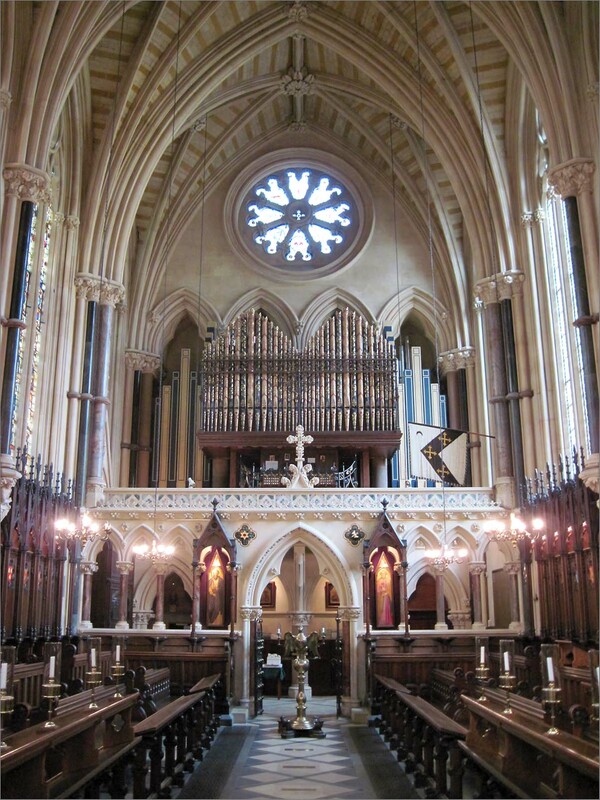 In particular I would welcome any thoughts about any of the questions we have and particularly welcome any references to others who have researched and published in similar areas. 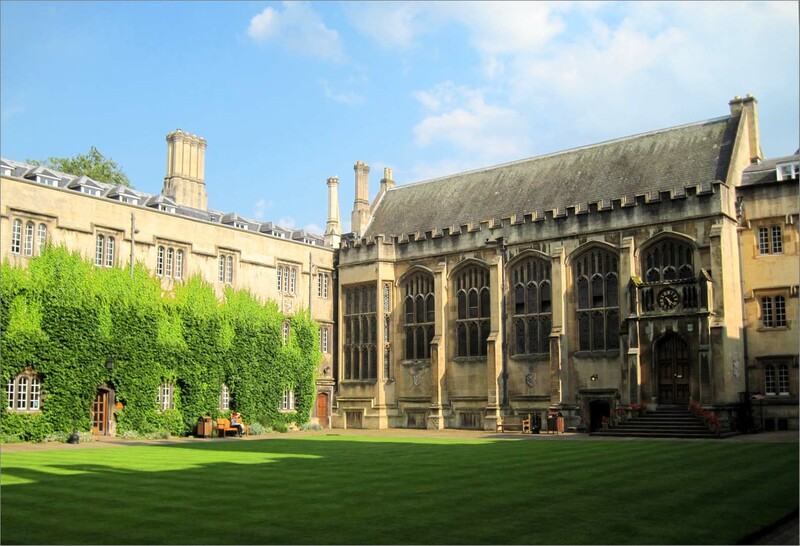 Before finishing this post I am going to do a plug here for staying in Exeter College if you ever go to Oxford. 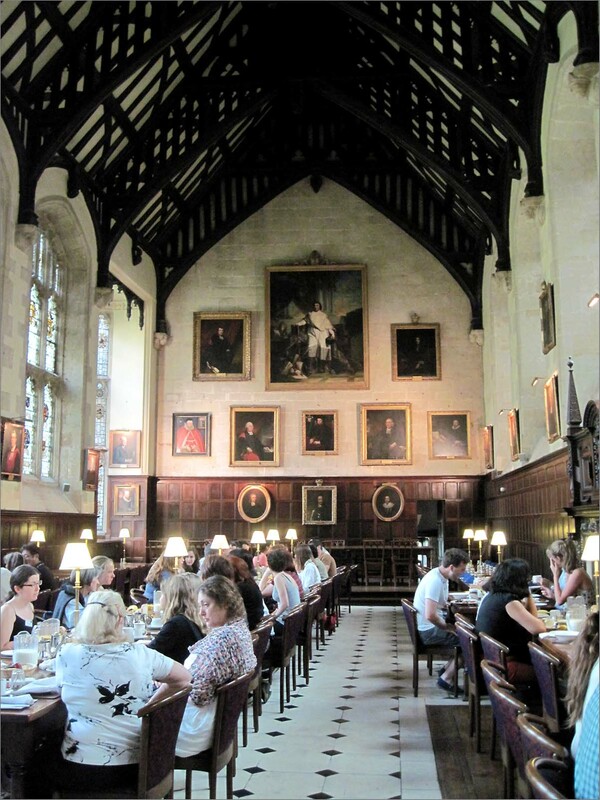 but when you walk into breakfast in this setting, everything is forgiven. Oxford really is an amazing place. I hope we will be able to show that MOOCs are not immune to rigorous investigation and add to the increasing body of respected research.